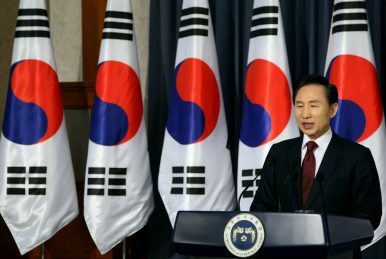 The blacklist was kept and maintained by the NIS as part of a larger campaign of subversive political activity, a campaign headed by then-NIS chief Won Sei-hoon. In addition to the blacklist, Won appears to have misused NIS resources to help pro-government conservative civic groups obtain financial support for political rallies and campaign activities. Some of this support was even used to operate a unit that faked public opinion on social media networks during the 2012 presidential election by posting favorable comments about Park Geun-hye and negative ones about then opposition candidate Moon Jae-in. At least 1.2 million tweets were revealed as having been posted in this effort. Allegations of illegally influencing an election are not the only charges to have been directed at Lee in recent months. The NIS scandal has also renewed interest and scrutiny in the Four Major Rivers Restoration Project (FMRRP) that Lee Myung-bak’s administration implemented from 2009 to 2011. The FMRRP was a massive infrastructure project costing about $20 billion designed to clean up rivers, reduce floods and droughts, and develop riverside leisure facilities. The FMRRP resulted in the construction of 16 weirs, five dams, and 96 reservoirs but was frequently dogged by fierce criticism from both environmentalists and political activists.